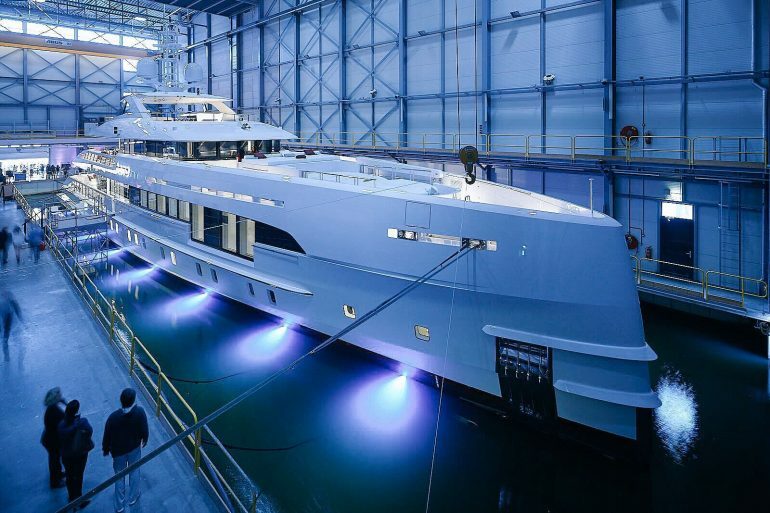 Heesen has officially launched a new superyacht that offers a silent cruising mode. 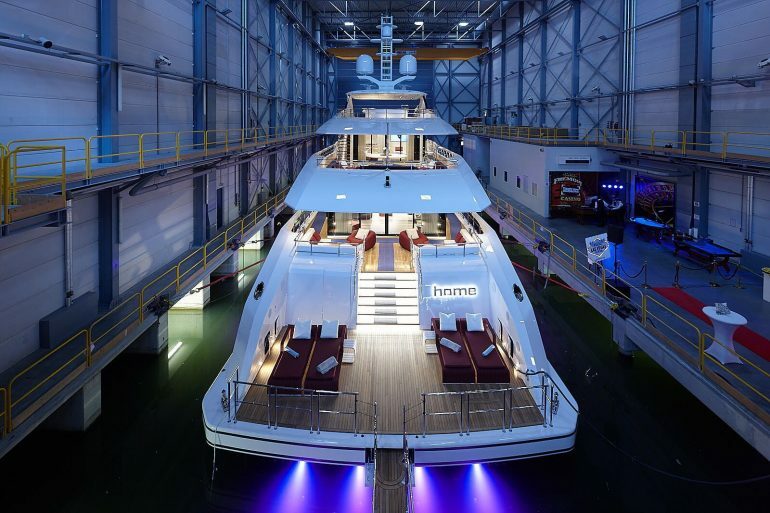 The Fast Displacement 50m Home was recently unveiled in The Netherlands and the technology makes her the first of a new breed of vessels for the shipyard. The superyacht is an ultra-efficient and low fuel-burning yacht, but it is also one of the quietest on the oceans. Heesen believe that a peaceful time on the water is what real luxury is all about and this yacht allows you to cruise in silence. The silent cruising mode can reach up to 9 knots, all while remaining as quiet as when anchored. Heesen’s in-house naval architects devised this hybrid propulsion by creating two sources of power: diesel mechanical and diesel electrical. Either or both sources can be used at once to provide less noise and vibration. The option allows her captain and crew to start early and leave the port without waking the owners and guests. What better way to wake up, than already at sea to watch the sunrise in peace and quiet?